2019-04-08: During 13:00–16:00 CET, we installed two 8TiB WD Ultrastar DC SN200 HH-HL AIC NVMe SSD disks to MIR, theoretically reaching up to 12 GiB/s sequential read performance and up to 4 GiB/s sequential write performance in RAID 0. We also upgraded MIR from Debian 8 to Debian 9 and installed the Linux 4.19 kernel after almost two years of uptime. 2019-04-04: We have just submitted our GAČR 2020 proposal for the “Continuous and Discrete (Concrete) Language Representations” three-year grant project. 2019-01-07: Our posters were accepted to the ML Prague 2019 conference. See you in Prague! 2018-10-24: Petr Sojka and Vítek Novotný present our papers MIaS: Math-Aware Retrieval in Digital Mathematical Libraries and Implementation Notes for the Soft Cosine Measure at the CIKM 2018 ACM conference in Torino, Italy. 2018-08-07: Our short paper MIaS: Math-Aware Retrieval in Digital Mathematical Libraries (postprint) and Implementation Notes for the Soft Cosine Measure (postprint) were accepted to the CIKM 2018 ACM conference. See you in Torino! 2018-05-23: Vítek Novotný placed third with our paper Semantic Vector Encoding and Similarity Search Using Fulltext Search Engines at the PhD Poster Session (FI MU). 2018-01-29: Michal Růžička has defended his PhD thesis Math Information Retrieval for Digital Libraries. 2017-11-21: Xhulio Kondakçiu has joined our MIR@MU research team. 2017-11-01: Dávid Lupták has joined our MIR@MU research team. 2017-10-21: Michal Růžička presented our paper Flexible Similarity Search of Semantic Vectors Using Fulltext Search Engines at Hybrid Statistical Semantic Understanding and Emerging Semantics (HSSUES) workshop at ISWC 2017. 2017-08-03: Vítek Novotný presents our paper Semantic Vector Encoding and Similarity Search Using Fulltext Search Engines at 2nd Workshop on Representation Learning for NLP. 2017-06-06: Preprint of our paper Semantic Vector Encoding and Similarity Search Using Fulltext Search Engines is available via arXiv.org now. 2017-05-23: Our paper Semantic Vector Encoding and Similarity Search Using Fulltext Search Engines was accepted to the ACL 2017 workshop RepL4NLP 2017. See you in Vancouver! Preprint will be available soon. The method is implemented in ScaleText – a software tool for semantic document search under development as part of MIR@MU + RaRe TAČR Omega project TD03000295. 2016-12-02: RASLAN 2016 presentation on the design of ScaleText. ScaleText is a software tool for semantic document search under development with RaRe Technologies as part of MIR@MU + RaRe TAČR Omega project TD03000295. 2016-07-01: MathML Unificator 1.1.0 released. 2016-06-16: Michal Růžička was third in poster session at FI MU with our NTCIR-12 poster. 2016-06-11: Official final version of our NTCIR-12 MathIR paper is available on the proceedings page. 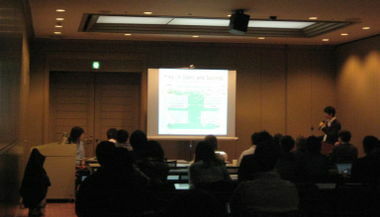 2016-06-07–2016-06-10: We attended NTCIR-12 MathIR / EVIA 2016 in Tokyo. 2016-06-02: Our NTCIR-12 poster printed for NTCIR-12 poster session in Tokyo next week. 2016-05-18: NTCIR-12 MathIR Overview Paper finally available. 2016-05-09: We received and reflected feedback on our NTCIR-12 MathIR paper. 2016-05-01: Final version of our NTCIR-12 MathIR paper submitted. 2016-04-03: Our ORCID iDs added to the Contacts page. 2016-03-06: We submitted our results for the Wikipedia Task of the NTCIR-12 Math Information Retrieval evaluation meeting. 2016-02-15: We submitted our results for NTCIR-12 Math Information Retrieval evaluation meeting. We are working hard to prepare new results over the updated Wiki data corpus released today. 2016-01-27: MathML Unificator 1.0.0 released. 2016-01-27: MathML Canonicalizer 1.3.1 released. 2016-01-16: NTCIR-12 Math Information Retrieval Topics are released. We are working hard to prepare our best results. 2016-01-08: Our talk Math-Aware Search Interfaces for Digital Mathematical Libraries (DML) at Joint Mathematics Meetings 2016. Seattle, USA. 2016-01-02: The first public version of MathML Unificator available at GitHub. 2015-12-14: MathML Canonicalizer 1.3.0 released. 2015-12-04: WebMIaS migrated to GitHub. 2015-12-03: Accepted talk at Joint Mathematics Meetings (AMS Special Session on Mathematical Information in the Digital Age of Science) by Petr Sojka and Michal Růžička. We discussed use of MIaS for maths-aware search as part of migration of DML-CZ to the new DSpace platform till the end of the year. 2015-11-05: MIaS and MIaS Math migrated to GitHub. 2015-10-23: Michal Růžička presents his research at NWSearch 2015 workshop co-located with CIKM 2015. 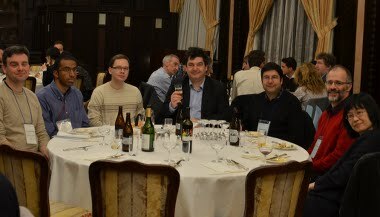 2015-10-20: Michal Růžička attending to CIKM 2015 and NWSearch 2015 in Melbouren. 2015-10-13: NTCIR-12 MathIR Wikipedia dataset is released. 2015-09-30: NTCIR-12 MathIR ArXiv dataset is released. 2015-09-29: Our NTCIR-12 MathIR participation officialy confirmed. 2015-08-13: We submitted the final version of our CIKM 2015 NWSearch 2015 paper. Preprint is available at arXiv: arXiv:1508.01929 [cs.IR]. The final version will be available using DOI 10.1145/2810355.2810359. 2015-08-09: Martin Líška presents his research at SIGIR 2015 Doctoral Consortium. 2015-07-21: Our paper was accepted to the CIKM 2015 workshop NWSearch 2015. See you in Melbourne! 2015-07-20: New MathML Canonicalizer Maven releases. 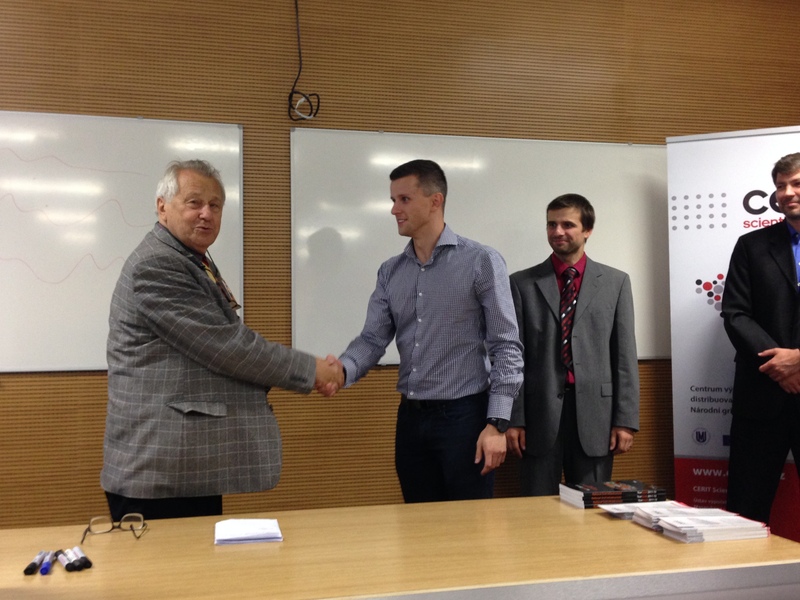 2015-06-09: Martin Líška defended his Ph.D. thesis proposal and passed the rigorous doctoral examination for a RNDr. degree. 2015-06-01: NTCIR Proceedings are now indexed by DBLP. 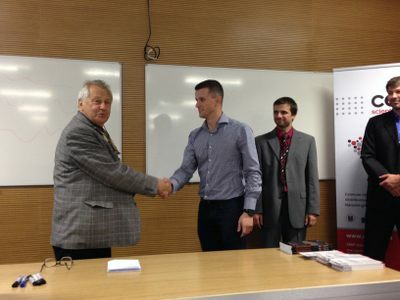 2015-05-08: Martin Líška was accepted with his work on Enhancing Mathematics Information Retrieval to the prestigious SIGIR 2015 Doctoral Consortium. See you in Chile! 2015-02-08: Our new server under a heavy load. New results and a new paper are on the way. 2015-01-08: Partha Pakray unexpectedly canceled ERCIM postdoc position and returned to India :-/. 2015-01-05: Our new server up and running. 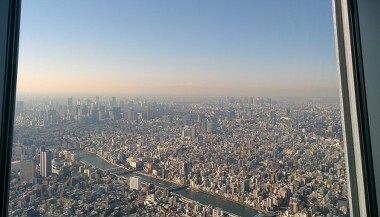 Data and services are gradually migrated. 2014-12-15: Official final version of our NTCIR-11 Math-2 paper is available on the proceedings page. Our MIRMU group had very good results. 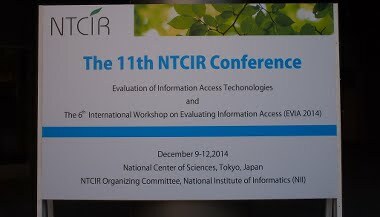 2014-12-08–2014-12-12: We attended NTCIR-11 Math-2 / EVIA 2014 in Tokyo. 2014-12-04: The new server hardware dedicated to our group came few days before our departure to Japan. 2014-11-01: Our paper at NTCIR-11 Math-2 submitted. 2014-10-14: Michal Růžička presented latest research results on NTCIR-11's Math Task 2 on NLP seminar at FI (12:00). 2014-10-08: Partha Pakray beat the bureaucracy beast and finally got his visa to join us. He will arrive on 2014-10-16 and will introduce yourself 2014-10-21 on NLP seminar at FI (12:00, B203) We also welcome Karel Lockenbauer on the board of MIR team! 2014-10-07: Petr Sojka presented state of the art of our research on MIR at NLP seminar at FI. See the slides for details. 2014-09-19: Martin Líška won poster session at FI MU with his NTCIR-11 poster. 2014-09-15: A draft version of our NTCIR-11 Math Task paper has been sent to get some feedback for the final version. 2014-09-12: New hardware on the way. Our team is going to get our own dedicated server for data indexing and searching. We expect 2U server with two 8 core (+ hyper-threading) Intel Xeon CPUs, 256 GiB of RAM, and five 4 TB disks (+ seven free hot-plug disk positions for further expansion of our storage capacity). 2014-08-18: Partha Pakray is going to join our research group. He will work with us at a postdoc position from October 15th, 2014 to October 14th, 2015. 2014-08-17: NTCIR-11 Math Task results were released. Our MIaS system has shown very good (ranked as #1 for most metrics) results!